Description: Did you know spending time in nature improves your brain, reduces stress and keeps you fit? I know when I walk through the forest and climb up to a mountain overlook, it clears my head and allows me to reboot. As John Muir said, "The clearest way into the Universe is though a forest wilderness.” At home in NC’s Great Smoky Mountains, naturalist and writer George Ellison and his artist wife, Elizabeth, share their creative insights into nature and speak about inspirations and love of discovery. Did you know spending time in nature improves your brain, reduces stress and keeps you fit? I know when I walk through the forest and climb up to a mountain overlook, it clears my head and allows me to reboot. 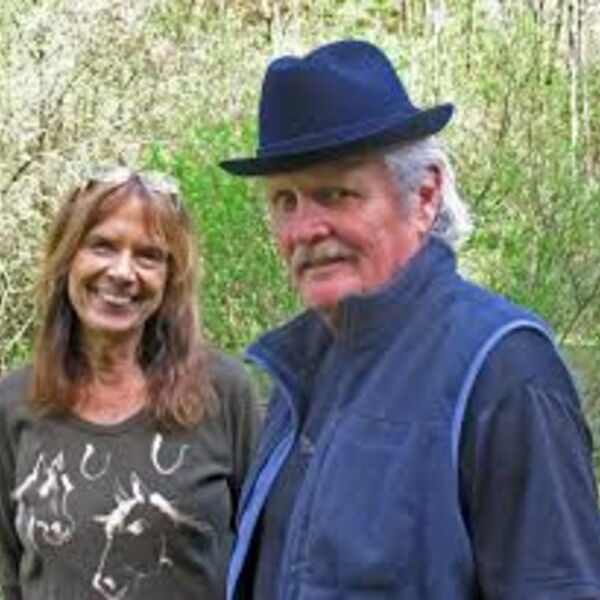 As John Muir said, "The clearest way into the Universe is though a forest wilderness.” At home in NC’s Great Smoky Mountains, naturalist and writer George Ellison and his artist wife, Elizabeth, share their creative insights into nature and speak about inspirations and love of discovery.